Valentine's Day is right around the corner, and I've been noticing the usual mixed reactions about it from my friends. There are those who insist it's a "Hallmark holiday," designed to encourage the masses to spend money. 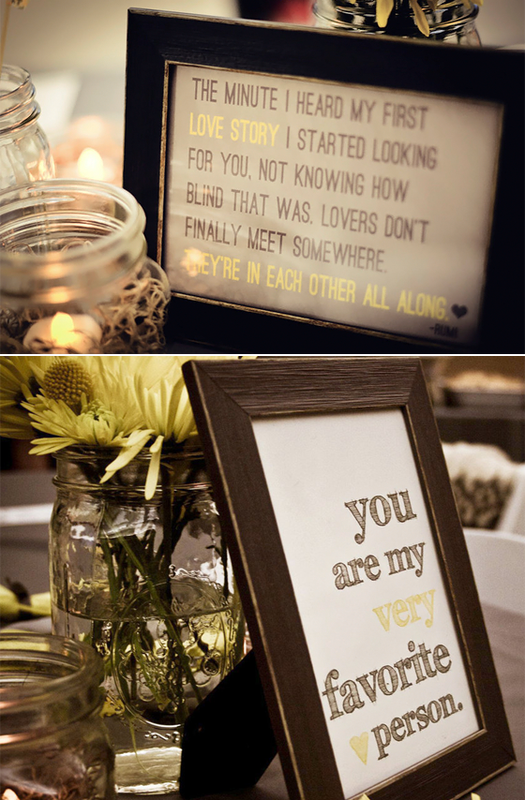 Others adore it, and extensively plan fancy dinners and seek out the perfect gifts for their sweethearts. Some cringe at the sappiness and actively boycott it. Some look forward to it as a way to have a little one-on-one time with their significant other. Others view at it as a fun excuse to gather friends and go out to see music or have some drinks. And others don't care about it one way or the other. Personally, I think it's pretty cool to have a day about celebrating love. Yes, we should celebrate love everyday. But in reality, we all have crazy busy lives that get cluttered with work and school and errands and schedules and day-to-day madness, and if it takes setting aside a day to remember that we love each other, that's alright by me. I'll admit that I've always been on Team Valentine. I remember waking up on February 14th as a little girl and feeling like it was a mini Christmas morning, because I knew there would be an extravagantly adorned heart-shaped box of chocolates waiting for me downstairs from my dad. In grade school, we used to have contests decorating shoe boxes to act as Valentine card holders, and it was my favorite project of the entire year. I'd spend hours carefully pasting pink tissue paper, paper doilies, and red ribbon to my box until I had it just right. As an adult, for many years I'd make handmade Valentines embellished with random pretty things to send in the mail to all of my pals. These days, even when Robbie is on the road with the band for Valentine's Day, I still make him a big, old school style construction paper Valentine heart. A couple of years ago, I even went wild and made him an entire man cave in the basement as a Valentine's Day gift. True story. (Sorry babe, I love you more than anything, but I won't be getting quite that creative this time around). This year, the band is coming home the afternoon of the 13th for a short 24 hours, and I'm looking forward to a nice, relaxing day at home for our first Valentine's Day as a married couple. When we do get to spend V-Day together, we usually avoid going out to restaurants in favor of making something together at home and dorking out over old movies. We don't get each other extravagant gifts or do anything overly romantic, but we do enjoy each others company, exchange unique little gifts or cards, and make sure to especially appreciate our love for each other. (Don't barf. The same holds true for especially appreciating how much I love my friends and family, and how much I loved my Bubby dog!) In the end, I think it's kind of awesome to have that special 24 hours where the focus is on loving each other, whether you're in a relationship or not. My opinion is that Valentine's Day can be whatever you want it to be, but love is always a good thing. Before I go, a little shameless plug >> The images in this post feature art prints and cards from Bubby and Bean Art's very own Valentine Collection. If you're looking for a special gift for your sweetheart, BFF, child, parent, sibling, pet or your awesome self, you can take a peek right here. If you like what you see, enter coupon code BUBBYBEANVALENTINE and 15% will magically disappear from your total. (Good through 2/10/12). It's Friday! I'm heading down to Indianapolis this afternoon to hang with my sister for the weekend. It's been almost two years since I've gone to visit her, which is completely unacceptable. Robbie's band is playing at the Superbowl Village in Indy Saturday, and while my sis and I will be avoiding that madness like the plague, we're going to pick Robbie up when the show is over that night and have a slumber party. We're also going to watch the Super Bowl there on Sunday, which for me means staring into space or immersing myself in my iPad and eating a lot while the football fans do their thing. We'll be working on some some projects for the blog too, so stayed tuned! Whatever your plans, I hope your weekend rocks. Photo of Robbie and I participating in P.D.A. and photos of framed art taken by Bliss Studio. 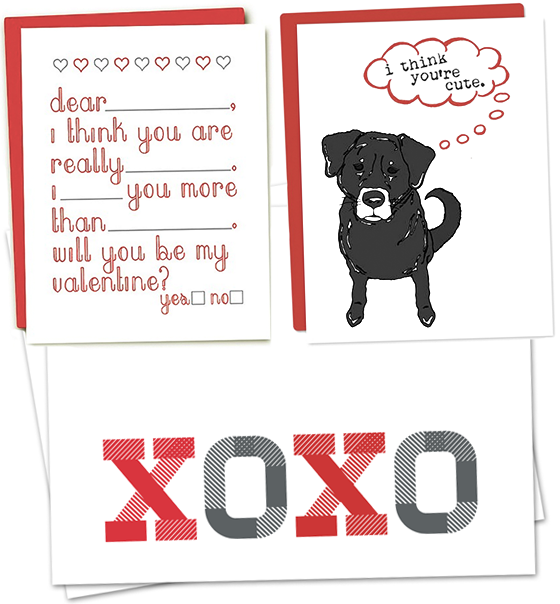 We're also avoiding Super Bowl Village ;) Cute new cards in the shop! Have a great weekend with your sister! I personally love valentines day! If you don't then just ignore it! Right? Love Valentine's Day!!! Your post made me smile. I love all the hearts and happiness. This is mine and hubby's 31st V-Day together ( yes!) and I love him even more than on our 1st V-Day! I have cherished every card, rose, ring, and box of chocolates he has given me. But the gift I love the most is the hand carved heart he made out of soap stone. Valentine's Day is all about love, and spending it with the one you love. I hope you and Robbie have as many great years as we have! I think I'm in the extreme minority among this group, but I'm actually going to watch the Super Bowl! I love football. Valentine's Day has always been kind of... whatever for me. Single or married, I'm pretty ambivalent about it. I definitely subscribe to the notion of making your partner feel special everyday, so Valentine's Day is just another chance to do that. So glad I'm not the only one on Team Valentine! I think it's a great day, and I tend to buy way too many heart shaped things every year. I agree, setting aside a day for love is awesome whether it's for one or many. I'm not too keen on Valentine's Day, but your artwork is supercute! I'm a hopeless romantic and don't believe in focusing on one day a year to celebrate love, so the first picture is perfect for me. I love it! I agree! I love Valentine's Day but my boyfriend and I don't exchange gifts. Instead we have an adventure somewhere. This year we're going to see the elephant seals on a nearby beach! I recently read that the roots of Valentine's Days don't have anything to do with love but... why not have a designated day to celebrate love? It doesn't exclude the rest of the days in the year when we can also celebrate our love, right? In other words, holidays are great, let's enjoy them! The best part of Valentine's day is the day after when all the candy is 60% off! 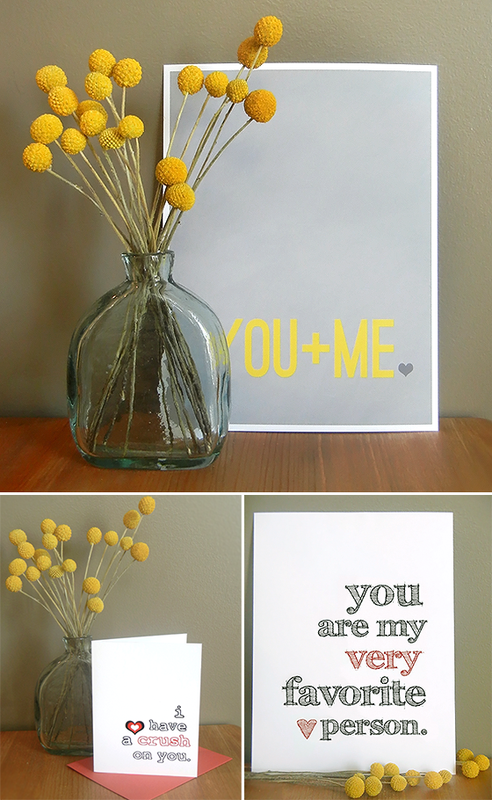 These prints and cards are so cute! I just found your blog and it is so inspiring.. your posts and blog are so creative!